1992’s Aladdin continued the brief-lived era of good feelings at Disney animation. After the doldrums of the prior decades, 1989’s The Little Mermaid marked the studio’s return to cultural relevance, and 1991’s Beauty and the Beast solidified that hold with newfound critical glory. Aladdin didn’t receive quite so many plaudits but it did well for itself in that department and also raked in the bucks at the box office. For the first time in decades, a Disney cartoon emerged as the year’s top-grossing flick; Aladdin’s $217 million put it well ahead of contenders like Batman Returns and Lethal Weapon 3. At the start of Aladdin, evil sorcerer Jafar (voiced by Jonathan Freeman) seeks the Cave of Wonders, the repository for a magical lamp. His stooge Gazeem (Charles Adler) attempts to fetch it, but only “the diamond in the rough” may enter, as they violently discover. I think that the film’s strengths ultimately override any of these concerns, however. Watching Aladdin for the first time in a few years, I was struck by just how much Williams owns this film. The Genie doesn’t appear until half an hour into the flick; we briefly hear from Williams in his small role as the merchant, but after that he disappears until a third of the film has finished. On the other hand, once we get past the Genie, I also find it difficult to conjure lots of compliments. 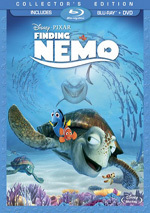 The cartoony style of the flick made it unusual among Disney’s then-recent history, and its manic tone allows it to stand out from the crowd. Granted, much of that comes from Williams, but the filmmakers keep up with him and use the energy for the benefit of the story; the hyperkinetic attitude melds well with the story and humor. The movie builds well; even though its first third drags, the climax becomes fun and clever. Overall, Aladdin remains a pretty enjoyable and lively flick. I admit it doesn’t wow me like it did a few decades ago, and some parts of it have started to age less than gracefully. Nonetheless, a knockout performance from Robin Williams carries much of the weight, and the rest of the film does enough well to make it amusing and entertaining. 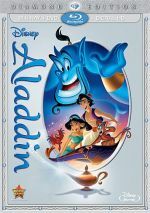 Aladdin appears in an aspect ratio of approximately 1.85:1 on this Blu-ray Disc. This became a highly pleasing presentation. Sharpness looked strong. Any signs of softness were brief and negligible, so the vast majority of the movie depicted razor-precise elements. Jagged edges and moiré effects appeared absent, and I witnessed no edfe haloes. In regard to print flaws, I noticed none, as the movie looked clean and fresh from start to finish. In terms of palette, blues and reds dominated. Other hues appeared as well, of course, but those overtones became most apparent. The colors appeared vivid and rich. Black levels looked solid, while low-light images were concisely displayed and tight, with no excessive opacity. I found little to criticize in this dynamic image. Aladdin also provided an active DTS-HD MA 7.1 soundtrack – maybe too active. From start to finish, the back speakers played a strangely dominant role. To be sure, I enjoy movies that make use of the rear channels, but Aladdin tended to go overboard to the point where the surrounds threatened to overwhelm the forward domain. This meant that dialogue stayed concentrated on the front but music and effects broadened more aggressively. I did hear obvious music and effects in the forward domain, but outside of the dialogue, I thought the track used the back speakers more prominently than the front. That didn’t make for an especially natural mix. The balance wasn’t badly out of whack, so even with the emphasis on the surrounds, the track created a fairly convincing sense of place. Nonetheless, I felt the forward channels should’ve had more to do, so the mix felt somewhat “off” to me.. Audio quality seemed positive. Speech came across as natural and crisp; a few lines could be a bit edgy, but not many. Music varied somewhat but usually was solid, with clean highs and taut lows.. Effects always sounded accurate and dynamic. Those elements presented good bass response and seemed bright and well defined with no signs of distortion. Overall, this was a pretty positive track, but the lack of balance created some concerns. 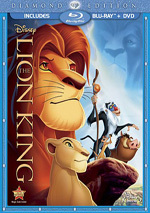 How does the Blu-ray compare to the original 2004 DVD? Visuals demonstrated obvious improvements, as the Blu-ray showed superior delineation as well as bolder colors. It also lacked the edge haloes and minor artifacts of the DVD. Audio became a more complicated subject. On one hand, the Blu-ray sounded better, as the lossless DTS-HD MA mix appeared richer and more natural than the DVD’s Dolby Digital 5.1 track. On the other hand, I preferred the soundfield of the DVD, as it seemed better balanced, and I strongly suspect it offered a more accurate representation of the original soundtrack. I thought the DVD’s mix featured a better combination of front and back speakers, whereas the Blu-ray used the surrounds too prominently. This didn’t become a fatal flaw – as active as it was, the DTS-HD MA track wasn’t bad - but it could’ve been more natural in terms of soundscape. One other point of comparison: the DVD opted for a 1.66:1 aspect ratio, while the Blu-ray went with 1.85:1. Which one offered the correct theatrical dimensions? I’ll be darned if I know. Disney has long tended to play fast and loose with home video aspect ratios, so while I suspect the 1.85:1 fits the theatrical exhibition, I can’t say that with certainty. The Blu-ray mixes old and new extras, and we find two separate audio commentaries. The first presents remarks from producers/directors John Musker and Ron Clements and co-producer Amy Pell, all of whom sit together for a running, screen-specific chat. They get into a nice mix of topics. We learn about the visual design of the movie and how this represents themes, influences, the characters, their development and casting, the music and the songs, cut sequences and various changes made along the way. They toss in fun stories about working with Robin Williams and also make sure we know what animators did what on the film. The commentary moves at a good pace and provides a winning exploration of the flick. For examples of unused material, we head to Deleted Songs. This includes four numbers: “Proud of Your Boy” (three minutes, 58 seconds), “You Can Count On Me” (2:22), “Humiliate the Boy” (3:54) and “Why Me” (3:42). We see these via story reels, with basic renditions of the tunes. Each clip starts with an introduction; in these we hear from Clements, Musker, story supervisor Ed Gombert, and composer Alan Menken. They discuss the songs and we get information about their removal; some of this already appears elsewhere, but the participants explain the pieces well. It’s very cool to listen to these dropped sequences. We get more removed footage with two Deleted Scenes. This area features “Aladdin and Jasmine’s First Meeting” (2:52) and “Aladdin in the Lap of Luxury” (2:54). Story reels represent both, so no kind of animation appears. “Meeting” demonstrates a pretty silly alternate take on the characters’ initial encounter. “Luxury” shows some elements of the removed subplot that involved Aladdin’s mother and also comes from a version in which our hero had unlimited wishes; it corresponds loosely to the sequence in which Aladdin reneges on his promise to free the Genie. Neither stands out as great, but I nonetheless appreciate the opportunity to see them. Introductions precede the clips; we hear from Musker and Clements. They again give us relevant discussion of the cuts. The disc provides music videos for two songs. Actually, it’s not that simple, as additional elements come with these. For “Proud of Your Boy”, Clay Aiken croons a predictably insipid take on the tune in this dull lip-synch video. The same “original story reel” for the song repeats from the “Deleted Songs” area, and we also find a three-minute, 20-second “Behind the Scenes of the Music Video”. It shows shots from the shoot along with comments from Menken, Aiken, Musker, Clements, and Walt Disney Music president Chris Montan. They provide some basic notes on the tune, choosing Aiken for it, the song’s relevance to the singer, and recording it. Not much more than fluffy talk shows up here. For “A Whole New World”, we discover two separate music videos. In addition to the original from Regina Belle and Peabo Bryson, Jessica Simpson and Nick Lachey do a circa 2004 version. Both renditions are soppy, over-produced messes; I like the movie’s take the best. As for the videos, both stick with the simple lip-synch/movie clip format typical of the genre. At least the Belle/Bryson edition gets a little creative and has them emote in a desert setting; Simpson and Lachey don’t even pretend to leave the recording studio. We see more of them in another “Behind the Scenes” segment. Clearly intended to tout the video release, the three-minute and 46-second piece includes remarks from Simpson and Lachey. They chat about how excited they are, how much they love the track and movie, and how much they have to offer to it. The program’s so puffy that it makes the “Proud” featurette look deep by comparison. At least Simpson looks particularly cute here. The set also provides Disney’s Song Selection. This basically acts as an alternate form of chapter menu. It lets you jump to any of the film’s five song performances, and it also allows you to show on-screen lyrics. With Inside the Genie’s Lamp, we get a “guided tour” that lasts six minutes and 13 seconds. It takes a Lifestyles of the Rich and Famous approach for another cute but insubstantial piece. In the three-minute and 14-second The Genie World Tour, we hear Jafar and Iago comment on postcards they get from the Genie. We also see animated shots of these cards. Similar to “Inside”, it’s mildly entertaining and that’s about it. A documentary called A Diamond in the Rough: The Making of Aladdin goes for one hour, 10 minutes, 52 seconds. To start, UCLA associate professor Dr. Ali Behdad conveys the history of the Arabian Nights tales and differences between the original story and the movie. Goldberg, Pell, Musker, Clements, Gombert, co-writers Terry Rossio and Ted Elliott, and Cartwright reflect on “Black Friday”, the day in early 1991 after studio executive Jeffrey Katzenberg slammed the work in progress, and its impact on the production. Keane, Musker, Clements and actor Scott Weinger then chat about the design for Aladdin and methods used to reflect his character. Next Eric Goldberg introduces some clips of live action reference material used for “One Jumpy Ahead”. Some information about recording the voice actors shows up with remarks from Finn, Keane, Weinger, Henn, Salonga, Deja, Freeman, Musker, Clements, Eric Goldberg, and actors Linda Larkin and Frank Welker. If I had to find a drawback about “Diamond in the Rough”, it would stem from the disjointed nature of the piece. Actually, it meshes together better than I thought it might, but it remains a loosely-connected collection of different materials, so it doesn’t flow like a standard documentary might. Nonetheless, “Rough” works quite well due to the sheer amount of information and the quality of the notes. Inevitably, some of these repeat previously-provided tidbits, but we find a lot of new elements on display, and the surfeit of archival materials adds measurably to the package. The footage from the recording studio works particularly well and makes one wish they’d provided an alternate audio track packed solely with Robin Williams’ improvisations. Despite a lack of fluidity, “Rough” includes a very good history of the project that complements the other aspects of the disc well. It’s an informative piece. Note that the Blu-ray version of “Rough” runs almost 40 minutes shorter than the program on the DVD. Except for a little bumper at the end, it loses a panel discussion called “An Evening With the Creators of Aladdin”. Why does that chat fail to reappear here? I have no idea, but it’s a sad omission. Next we get a featurette entitled Alan Menken: Musical Renaissance Man. This 19-minute, 55-second program provides notes from Menken, parents Norman and Judy, wife Janis, Musker, Clements, Disney Music president Chris Montan, actor Paige O’Hara, lyricist Tim Rice and producer Don Hahn. We get a look at Menken’s life and the growth of his career from his early days through his partnership with Howard Ashman through his time at Disney. The piece offers a smattering of nice notes, particularly in regard to Menken’s early years, but it comes across as pretty fluffy and superficial overall. There’s a lot of praise on display here and not a ton of hard information. An eight-minute and 45-second Art Review shows a variety of drawings and paintings along with commentary from Musker and Clements. We watch concept art connected to Aladdin as the directors let us know how the material influenced the film’s development. It’s a tight and efficient examination of the subject. The disc opens with ads for The Good Dinosaur, Inside Out and Tomorrowland. Sneak Peeks adds promos for Disney Parks, The Muppets TV series and Star Wars: The Force Awakens. We also find trailers for Aladdin and its two direct-to-video sequels. The rest of the set’s extras are new to the 2015 Blu-ray. A section called The Genie Outtakes runs eight minutes, 53 seconds and offers an intro from Clements, Musker and Eric Goldberg. They tell us about Robin Williams’ work in the studio and we then get outtakes from his recording sessions. It becomes a delightful addition that I wish lasted longer. For a look at a new show, Aladdin: Creating Broadway Magic goes for 18 minutes, 53 seconds and features Menken, Freeman, Disney Theatrical President Thomas Schumacher, director/choreographer Casey Nicholaw, book writer/lyricist Chad Beguelin, and actors Darren Criss, James Monroe Iglehart, Courtney Reed and Adam Jacobs. They talk about the development of the stage show and the challenges it faced. Though this occasionally feels like an advertisement, it’s usually fairly interesting. Unboxing Aladdin occupies four minutes, 40 seconds with TV actor Joey Bragg. He takes us on a tour of trivia tidbits found in the movie. The wacky tone gets annoying, but some good content appears. With Genie 101, we get a three-minute 59-second featurette. It comes with comments from Weinger, as he identifies the personalities impersonated by the Genie. Viewers of a certain age will already know these identities, but this can be a useful oveview. We focus on the directors in the five-minute, 36-second Ron and John: You Ain’t Never Had a Friend Like Me. Clements and Musker discuss their long-time relationship in this witty, fun little chat. 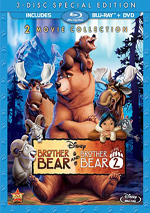 What does the Blu-ray drop from the 2002 DVD? In addition to the portions of “Diamond in the Rough” I already mentioned, we lose a text commentary, some games, and still galleries. I don’t mind the absence of the games, but the other omissions disappoint. A second disc provides a DVD copy of Aladdin. It includes the deleted scenes and songs but lacks any of the other extras. A sensation when it first appeared in 1992, some parts of Aladdin now seem a little creaky. Nonetheless, a stellar performance from Robin Williams helps overcome most of its problems and means that the movie continues to provide a lot of entertainment. The Blu-ray offers excellent visuals with mostly positive – though overly aggressive – audio and a nice set of supplements. Despite some flaws, this ends up as the most satisfying Aladdin to date.